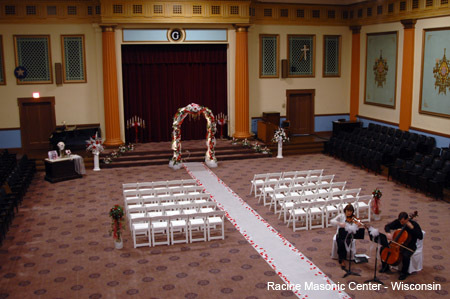 The Racine Masonic Center features two historic structures blended together. A three story Italianate mansion from 1856 is joined by the Masonic Temple built in 1922. The mansion was built by early Racine businessman Henry Durand and his family who lived there until 1890 when Otis Johnson purchased the home. It was later acquired by Frederick Robinson who undertook an extensive renovation in 1906 and provided for the home to be sold to the local Freemasons. The Temple portion was designed by local architect Edmund Funston. 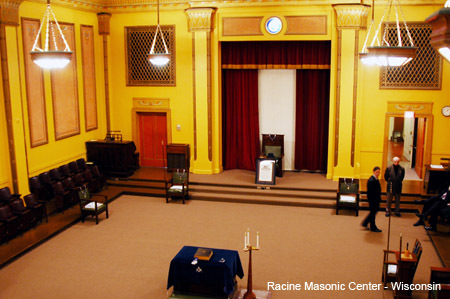 It is now home to eight Masonic organizations, the first charted in Racine in 1848. Visitors will use the Wisconsin Avenue entrance or the elevator entrance off the parking lot. All three floors of the Temple will be open. This includes the Charles Kopecky dining room, the formal ballroom, the hall of history, and the two Lodge rooms, Doric and Egyptian Halls. 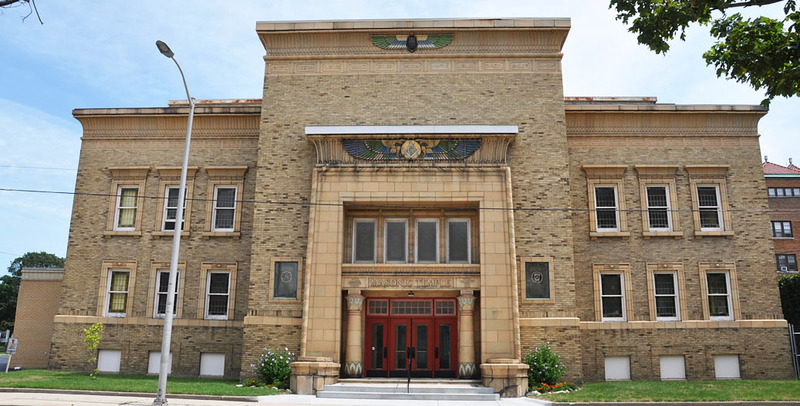 The different areas will be staffed by volunteers with information about the facility and each area will feature information about one of the Masonic organizations which continue to work in our community.